Famous Japanese artist Yayoi Kusama is considering legal action against organisers of several exhibitions in China who displayed fake copies of her works without her consent. Takashi Murakami is another victim of dishonest organisers. Fake works have been displayed in at least six Chinese cities since spring, the Guardian reports. Most shows were free of charge, except for an exhibition of Kusama and Murakami’s works in Changsha, Hunan province. Admission fees were $10. Earlier this month, organisers closed an exhibition in Shanghai after Kusama’s legal team issued a warning. However, the show in Changsha is still open to view. Kusama’s lawyers are trying to find organisers of the show in Changsha and other fake exhibitions, threatening to pursue civil and criminal action for copyright infringement and violations of Chinese laws. “These dishonest acts are a violation of public morals and decency of a notably malicious nature, and are a contemptible transgression of the originality and copyrights of all artists. 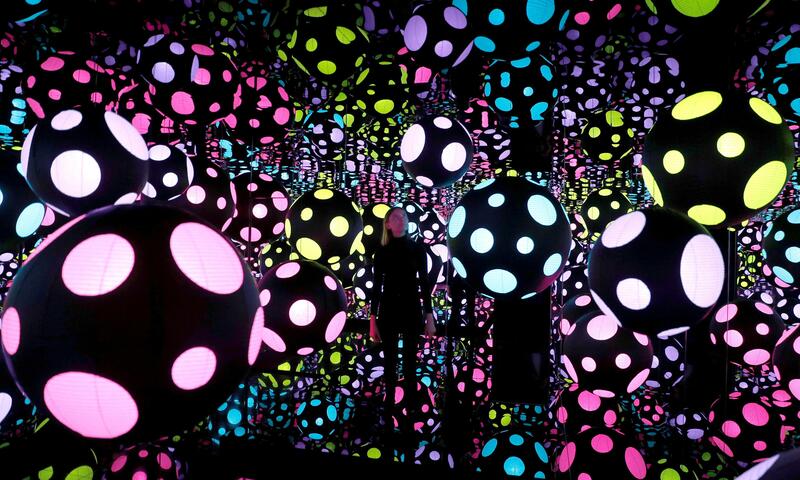 We therefore strongly condemn these actions,” the Yayoi Kusama Foundation says.